Other countries, including the U.S., have been experimenting with food delivery robots for the past year. In February, US-based companies Postmates and DoorDash began the testing of Starship Technologies’ delivery robots in Washington D.C. and Redwood City, respectively. 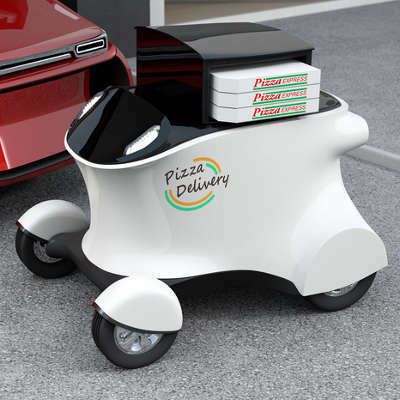 One reason why the U.S. isn’t seeing a larger rollout of these six-wheeled, three-foot tall delivery robots is due to state laws. A few days before the Starship Technologies/Domino’s Pizza Enterprises partnership was announced, Idaho became the second state to pass legislation permitting the use of unmanned, ground-based delivery robots (joining Virginia). Florida and Wisconsin might be next, with legislators in those respective states introducing similar bills within the past month.